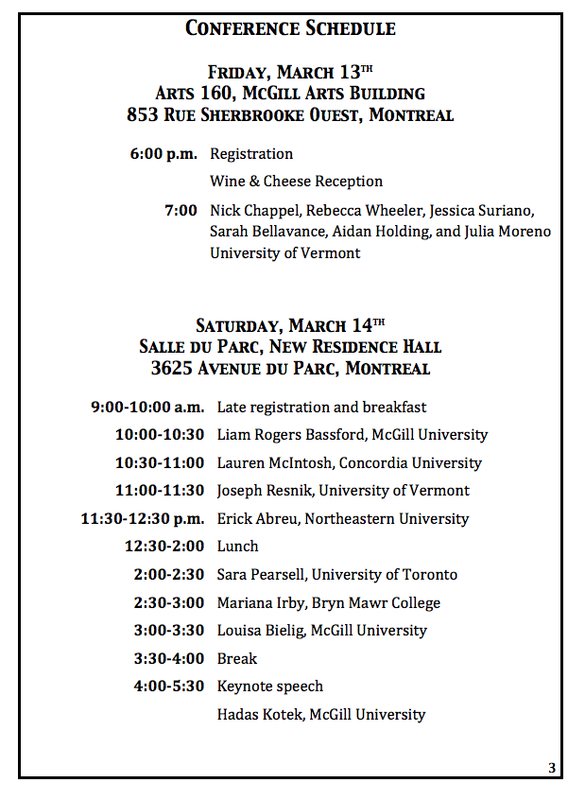 This year’s McGill Canadian Conference for Linguistics Undergrads–McCCLU–will take place Saturday March 14th at New Residence Hall. The program is below, and the full conference booklet is here: McCCLU 2015 Program. In addition to talks by our very own Liam Rogers Bassford and Louisa Bielig, there will be a keynote talk by postdoctoral fellow Hadas Kotek. Hope you can make it! Published by McLing on March 13, 2015 at 3:55 pm under Conferences, Undergraduate news.